The Big League Experience Summer Baseball camp is one of the longest running residential summer baseball camps in North America. 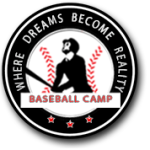 The baseball camp has been in existence since 1960 and is now under the leadership for its 23rd straight year with Marty Lehn, Former Canadian Olympic team coach and Major League Scout along with former Boston Red Sox and Colorado Rockies organizational player, Colin Dixon. In addition to summer baseball camps, the Big League Experience hosts a number of quality baseball tournaments as well as travel teams and player/coach developmental clinics.